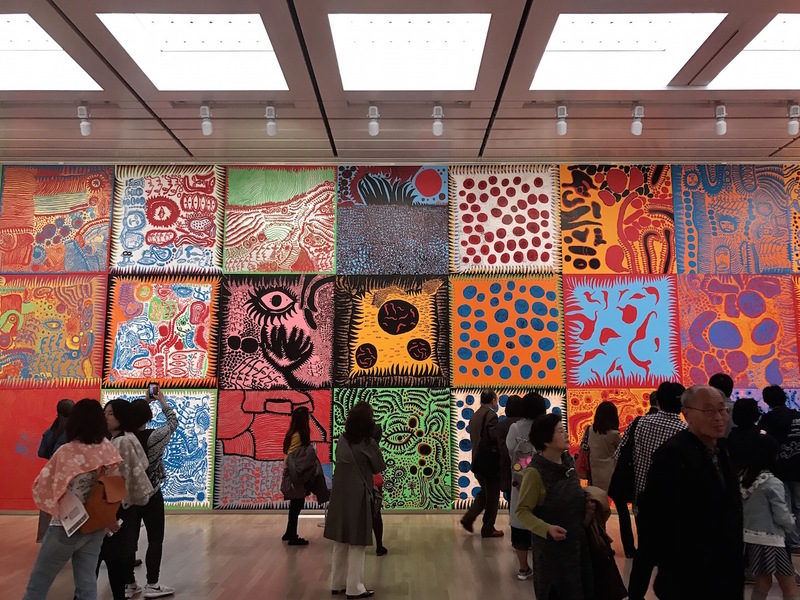 Friday, November 30 from 6:00 p.m. until 8:00 p.m.
Based on her 2015 book, Yayoi Kusama: Inventing the Singular, Prof. Midori Yamamura will discuss Japanese-born artist Yayoi Kusama and art dealer Leo Castelli, who both launched their careers in New York’s 1950s multicultural downtown scene, where immigrants from diverse backgrounds converged after the Second World War. By the early 1960s, Kusama was exhibiting together with the Pop and Minimal artists during their formative years. In Europe, she showed with the Dutch Nul and the German Zero artists. However, as the global art market fully took root, the so-called “New American Art” replaced multiculturalism with mostly U.S.-born white male artists, most of whom were represented by a single New York gallery, Leo Castelli, and Kusama became marginalized. This was owing in large part to the successful efforts of the capitalists’ transnational activities to establish what was in effect a market monopoly. This experience uniquely shaped Kusama’s art and forced her to invent a singular practice that foreshadowed the politically charged feminist art of the 1970s and queer art, challenging the conventional ideas of gender and sexuality. Midori Yamamura is an Assistant Professor of Art at Kingsborough Community College/CUNY, and the author of Yayoi Kusama: Inventing the Singular (MIT Press, 2015). Prof. Yamamura is a specialist in post-WWII Asian and Asian Diaspora art. She is currently working on her second book, Japanese Contemporary Art Since 1989: Emergence of the Local in the Age of Globalization, and co-editing The Cold War and Visual Art in Asia (Routledge, 2020). Prof. Yamamura has taught art history at Fordham University, Hunter College/CUNY, Pratt Institute, and lectures regularly at the Museum of Modern Art. She has received fellowships from the Japan Society for the Promotion of Science (JSPS), Terra Foundation, Mellon Foundation, Center for Place Culture and Politics at CUNY, Terumo Foundation, and Ford Foundation. Her essays have been published in major museum catalogues, including the Tate Modern and the Whitney Museum of American Art. Asian American / Asian Research Institute (AAARI) of the City University of New York (CUNY) is a university-wide scholarly research and resource center that focuses on policies and issues that affect Asians and Asian Americans. It covers four areas: Asian American Studies, East Asian Studies, South Asian Studies, and Trade and Technology Studies. This talk is free and open to the general public. To RSVP, please visit AAARI’s Eventbrite page.